Well, what a tournament. Ireland edging the title on points difference from their English rivals, Wales stumbling (England), then strutting (Scotland) their way to a disappointing third place while France, Scotland and Italy bringing up the rear, this year’s tournament has not been dull. But which players have made the cut in this year’s team of the tournament? In my opinion the undisputed player of the tournament, Brown’s four tries helped England secure their first Triple Crown in eleven years. Safe under the high ball, solid in defence and devastating in attack, this form makes you wonder why England ignored him for so long. Now undisputed 1st choice full-back for his country, Brown edges out the likes of Kearney and Halfpenny, for the way he has lit this tournament up with his potent attacking skills. 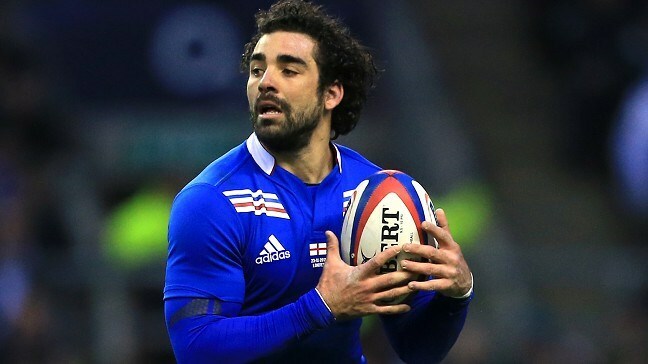 One of the few French players to perform during the tournament, Huget’s attacking game has been one of the only highlights for a very poor French team. In an extremely average team, Huget has provided the spark needed to cover over his team-mates frailties, with tries against England and Scotland proving the catalyst for undeserved victories against both nations. One of the most exciting players to watch during the tournament his deceptive running, dancing feet and burst of acceleration has been a breath of fresh air in a dull French team. Despite the efforts of a certain Irishman, Luther Burrell has burst on to the international scene with a bang and a flurry of tries. A late bloomer at 26, Burrell won his first international cap in the agonising defeat in Paris, scoring the try which looked to have taken the spoils until the late drama unfolded. Tries in victories against Scotland and Wales have showcased his class and ability at this level and has breathed new life into what was previously an unimaginative backline. Despite quiet games in Ireland and England, Roberts makes the cut following his outstanding performances against Italy, France and Scotland, where he provided the momentum for some convincing performances. His ability to consistently break the gain-line caused problems for the opposition and allowed space for some of Wales’s other dangerous runners to run in some top tries, while also deservedly running in two tries himself in the final match against the Scottish. The unsung hero of Ireland’s triumphant campaign, Trimble has proven to be a menace for opposition defences with ball in hand as his three tries in the tournament show. 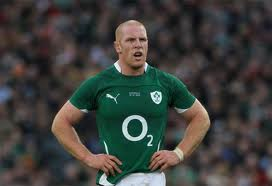 Once derided, Trimble has restored his reputation following a fall from grace which saw him play in just one test match in 18 months, and can wear his championship medal with pride knowing he has contributed massively to Ireland’s success. Both Sexton and Farrell have had a marvellous tournament, but the Irishman just shades his Lions team-mate on account of his try-scoring feats coupled with his wonderful game management. Joint leading try-scorer following two braces against Italy and France, Sexton also provided a kicking master-class against the Welsh in round two, marshalling his backline superbly and stopping the powerful Welsh runners from getting too much ball in hand, as he did throughout the tournament. Once again another tight call between Care and Connor Murray of Ireland, but the spark provided by the Harlequins No.9 has proven invaluable for this improving English team as tries against Ireland and Wales have proven. His pace around the fringes of the ruck as well as at penalty times along with his quick delivery from the base of rucks has provided more time and space for his backline to exploit opposition defences. 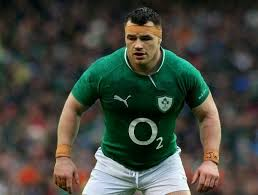 Surely one of the fittest props in world rugby, Healy continues to use his deceptive pace around the park to support his team-mates. 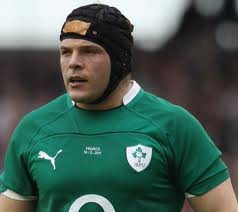 A top scrummager as well, Healy has been a vital member of an Irish pack who dominated their opponents throughout most of the campaign, and has once again proven his credentials as one of the finest props in world rugby. 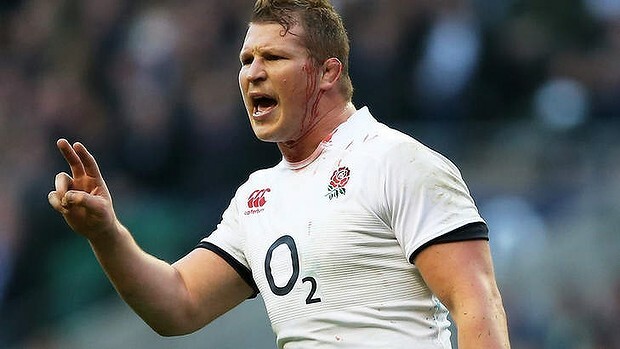 Despite having a questionable disciplinary record in the past, Hartley has done most of his talking on the pitch as one of England’s top performers in the tournament. Having started every match during the tournament, Hartley’s immaculate throwing at line-out time coupled with his customary aggression when carrying the ball has made him one of England’s top on-field leaders in a young side that is still learning. At 34 years of age, Ross continues to deliver at international level. The cornerstone of this Irish team, Ross’s continued prescence at scrum-time has been vital for a strong pack to annihilate opposition packs. He may not be the quickest or most effective ball carrier, but what he lacks in pace he more than makes up for in strength and sheer power. A seasoned international already with world cup appearances under his belt, Lawes has always been a special player. Yet up until recently we have only seen flashes of his brilliance, however during this tournament at the age of 25, Lawes has truly come of age. A superb athlete, Lawes assumed the role of line-out caller during this tournament and has proven a very effective general winning the most line-outs (28) and also the most line-out steals (six) in the tournament, to go along with his fantastic tackling and ball-carrying skills. 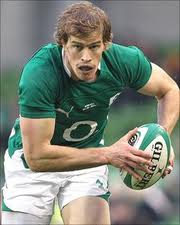 Despite a wonderful tournament for young Joe Launchbury, there is no way I could leave out the legend that is Paul O’ Connell. At the age of 34 the veteran of three Lions tours, continues to defy those who say he is a spent force whose impact is no longer felt in an Irish team. A true warrior of the game O’ Connell’s continued tackling and ball-carrying ability along with his near perfect work at line-out time and experience has been invaluable as he captained Ireland to their first championship success in five years. 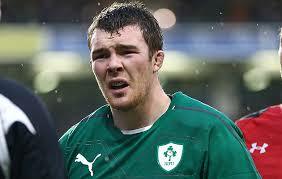 At just 24 years of age, O’ Mahony has grown into one of Ireland’s most influential players. His unselfishness and his effective work at the breakdown has provided the platform for Ireland’s skilful backs to open holes in opposition defences throughout the tournament. His incredible work rate, evident in his man-of-the-match performance against the Welsh has been one of the main reasons why Ireland have won this year’s tournament. Despite the impressive efforts of England captain Chris Robshaw, it is the Wales and Lions captain who gets the nod in the number seven jersey. 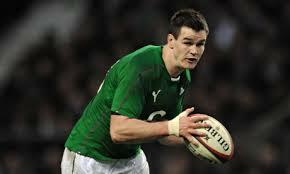 One of the few players to perform relatively well in the defeats to Ireland and England, Warburton has performed fantastically throughout this year’s tournament. 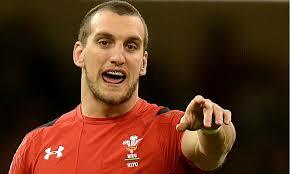 His effective work at the breakdown has been the catalyst for Welsh victories against the French and Scottish respectively. His tackling and ability at winning turnover ball has been vital, with his superhuman try-scoring performance against the French having echoes of arguably his greatest ever performance against the Aussies in the 2nd Lions test. An incredible rugby specimen, Faletau continues to churn out world-class performances week-in, week-out at a near impossible rate. One of the fittest forwards in world rugby it is not only his faultless tackling, ball-carrying and line-out work which makes him such a special player. His pace and link-up play in attack sets him apart from other No. 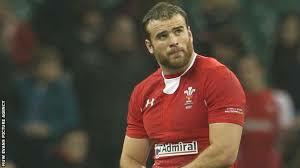 8’s in the Northen Hemisphere, as shown in the Scotland game with his try and assist for Jamie Roberts score. Arguably the best No.8 in the world, only the masterful All Black (and current IRB World player of the year) Kieran Read can compete with the Welsh wonder.